The Academy is scrambling to find a host for the Oscars next year in the wake of Kevin Hart's abrupt departure. The comedian and actor was hired and, within a day, departed the gig after some previous anti-gay tweets of his resurfaced. The Academy asked Hart to apologize, he refused and instead, walked away, even though he then issued an apology anyway. Whatever the case could have been, as it stands, Hollywood's biggest night is without a host. And it may stay that way. 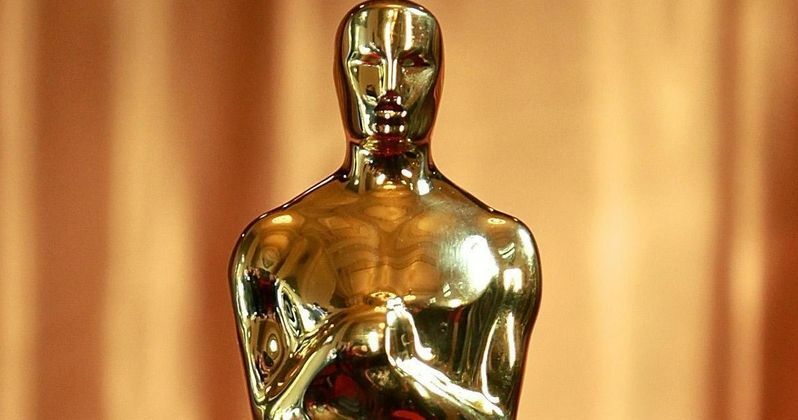 According to a new report, the Oscars may go without a host at all. Instead, according to an anonymous source close to the situation, The Academy Awards will go with "a bunch of huge celebs, something 'SNL' style, and buzzy people" sharing duties throughout the night. At this point, they may not have many other options. Going without a host would be a virtually unprecedented move, but it also could present other issues that the organization will need to contend with. Needless to say, the situation, as it stands, is quite messy. Even prior to getting Kevin Hart to sign on, the Academy was having an issue getting someone to sign on the dotted line for the job. These days, with ratings for the Oscars in decline and the host needing to walk a very fine line in order to have a successful night, there is far too much pressure for many A-list stars to take the risk. As such, a ton of stars, ranging from Jerry Seinfeld to the duo of Amy Poehler and Tina Fey have reportedly passed on hosting the Oscars. Truthfully, what do they have to gain from it? There seems to be much more to lose if things don't go well. Whereas, on the other side, even if things go great someone like that doesn't stand to gain much, besides a day's worth of favorable reviews online and a little bit of cash in their pocket. Going with no host may be the only option at this point. But there is intense pressure on the Academy to deliver an Oscars broadcast that does better in the ratings department. While having a popular movie like Black Panther possibly earning a Best Picture nomination could help, an A-list host is another way to possibly give things the boost they need. Earlier this year, the organization announced the very unpopular category to honor popular movies, which was quickly rescinded for the time being. That was also an attempt to boost ratings. Another thing to consider is that the ceremony itself needs to be planned. This year's host Jimmy Kimmel had been announced the previous May, giving them months to plan. Any host who signs on at this point would have a very truncated schedule to make that happen. The Board of Governors for the Academy are set to meet tonight and the Oscars host situation will be discussed. The 91st Academy Awards ceremony is set for Sunday, February 24, 2019. This news was previously reported by Variety.